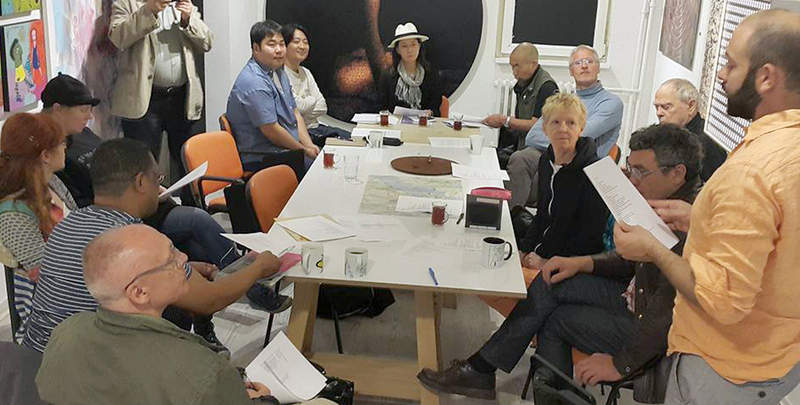 The research-workshops for “Taste of Tea”, held in Istanbul, Bursa and Busan were the important meetings organized by the Nine Dragon Heads to discuss the conceptual, practical and ethical issues regarding the specific goal of the Nine Dragon Heads – to participate in the 15th Istanbul Biennale, taking place on September 16th– November 12th, 2017, in the Turkish capital. 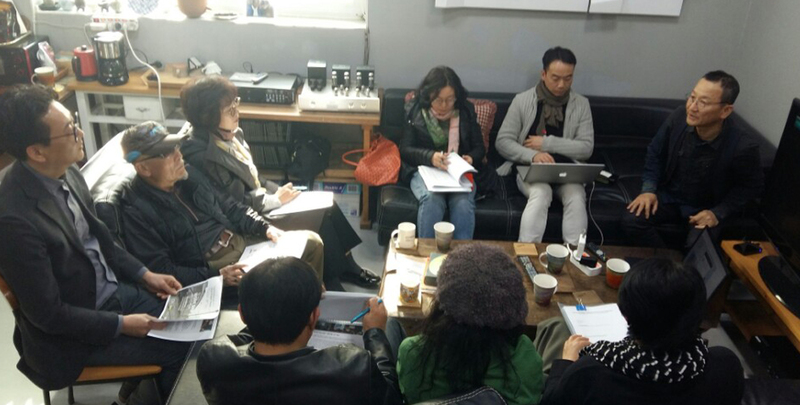 The conceptual part of the workshops were dedicated to the discussion of the overall strategies of the project. 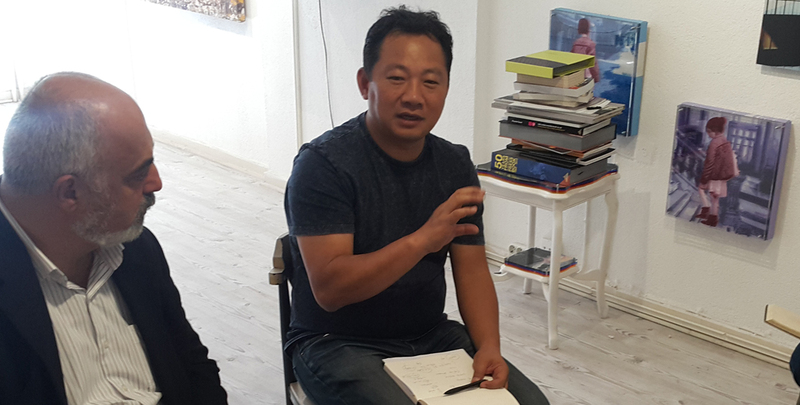 The Nine Dragon Heads is an international project with artists from different cultural, political and social backgrounds. 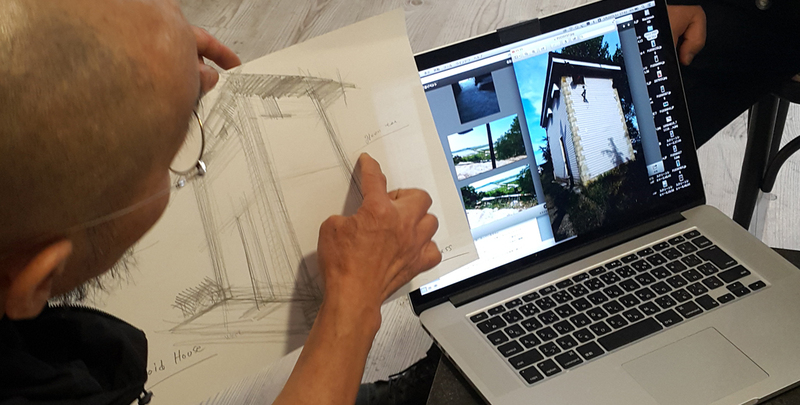 At the same time, the format of any biennale, with its origin from the big international exhibitions (expos) of the 19th century, aims at creative research and representation of the modern world picture and contemporaneity. Istanbul and Turkey in general undergo a very specific period of its history. The aim of presenting the appealing international project at the Istanbul biennale in 2017 gives rise to a number of questions. Among them is to what extent are we actually able to critically reflect on life of the city, especially from the perspectives of temporary visiting, uninvolved artists? How can the project be responsive to the situation at hand? How to stay site-sensitive and not “wiser” than the Istanbul locals experienced the serious political and social upheavals? What is the approach that can show the Nine Dragon Heads project at its best in Istanbul? What are the NDH artists’ thoughts regarding aforementioned questions? 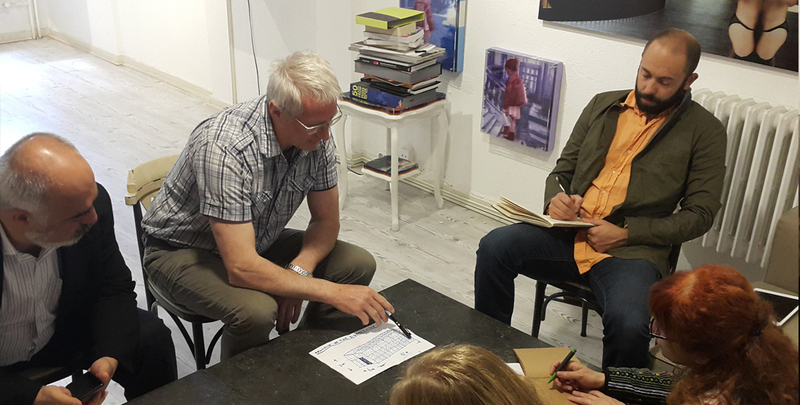 The practical part of the workshops intended to experiment on mediums and ideas that are going to shape the works presented at the “Taste of Tea” exhibition. The practical part of the research-workshops is connected to the conceptual framework of the project and the overall operating style of Nine Dragon Heads, which is working in locations with transitional characteristics that may be environmentally, economically or politically challenged on important cultural, historical and geopolitical routes. The ethical part of the workshop is defined by the two above mentioned objectives. 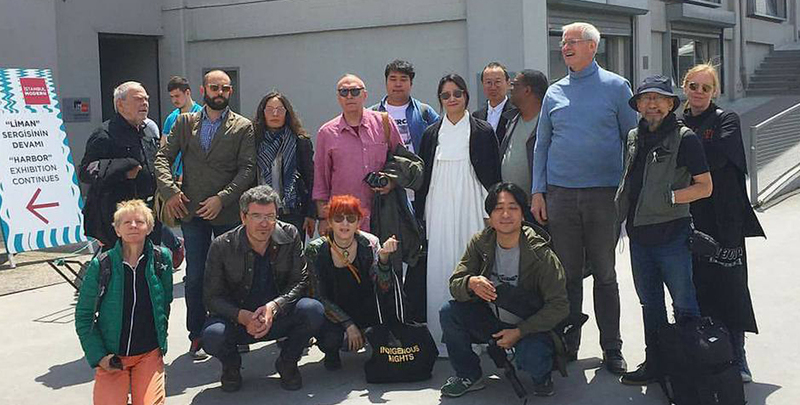 The fact that two workshops were summoned in Korea was particularly important for the progress in elaboration of specific tactics as working in situ in Istanbul required an already prepared, deliberately planned, more detailed conceptual strategy, feedbacks of the artists. 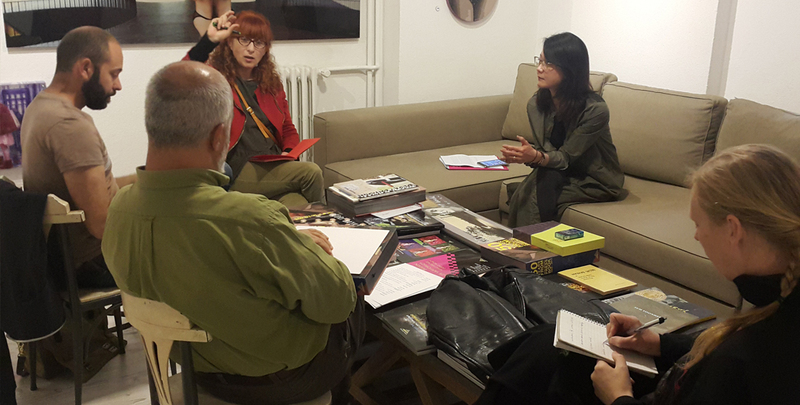 The Istanbul edition of the workshop held at Haydarpasha and Sirkeci terminals involved the intense brainstorming on the theme of “Taste of Tea”, discussion of the work ideas with the participant artists and two lectures given by the Turkish scholars in the Istanbul Modern.